Coconut oil is very popular and very preferred as hair oil worldwide. Let us find out why. 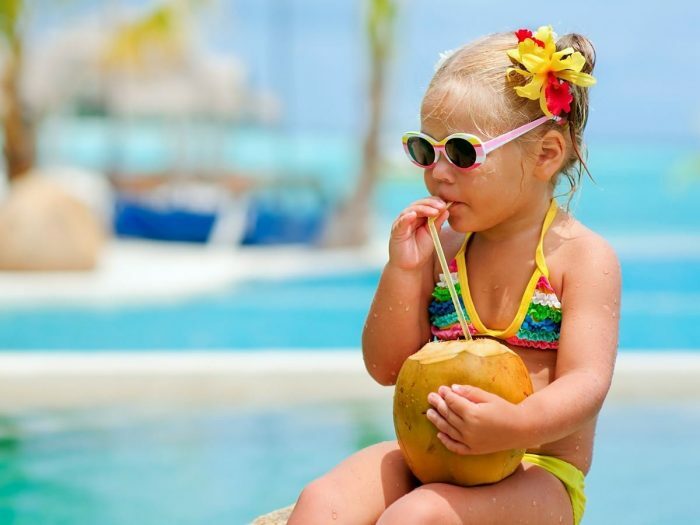 Since their childhood, people living in most of the coastal areas of the world, more specifically in the areas where coconut grows in abundance, such as in the Indian Subcontinent, Sri Lanka, Indonesia, Malaysia, Burma, Philippines etc., know the one and the only, the sweet smelling coconut oil as their only hair oil. Coconut oil has been in use as hair oil for ages and it has shown remarkable results. Certain components in it keep the hair strong, vitalized, nourished and protected from effects of ageing. Let us see those components and their effects on hair. Lauric Acid: One of the most responsible reasons behind hair fall and hair loss is microbial action on the scalp and hair roots. So, to protect hair against them, what we need is an antimicrobial agent. Lauric Acid present in Coconut Oil is one of them. It is basically a triglyceride which yields a monoglyceride called Monolaurin when acted upon by a species of bacteria which breaks the glycerol bonds. This monolaurin has excellent antimicrobial properties. Capric Acid: This is yet another triglyceride present in Coconut oil, which, like Lauric Acid, yields another monoglyceride called Monocaprin due to bacterial action, having antimicrobial properties similar to that of monolaurin. Vitamin-E: Almost every aptly educated person knows the importance of vitamin-E for skin and hair. It keeps scalp and skin healthy and hair rejuvenated. Anti-Dandruff: The various fatty acids present in Coconut Oil serve as very good anti dandruff agents and are way better than any anti dandruff shampoo. A regular application can help you get rid of dandruffs for ever. Styling: Coconut oil can be good styling oil for hair too, as it melts on heating and then condenses on cooling. So when you apply it on your hair, it thins and spreads evenly due to heat of the scalp. Soon afterwards, as the hair comes in contact with air, the oil on hair condenses on cooling and thus works as a styling gel or cream.